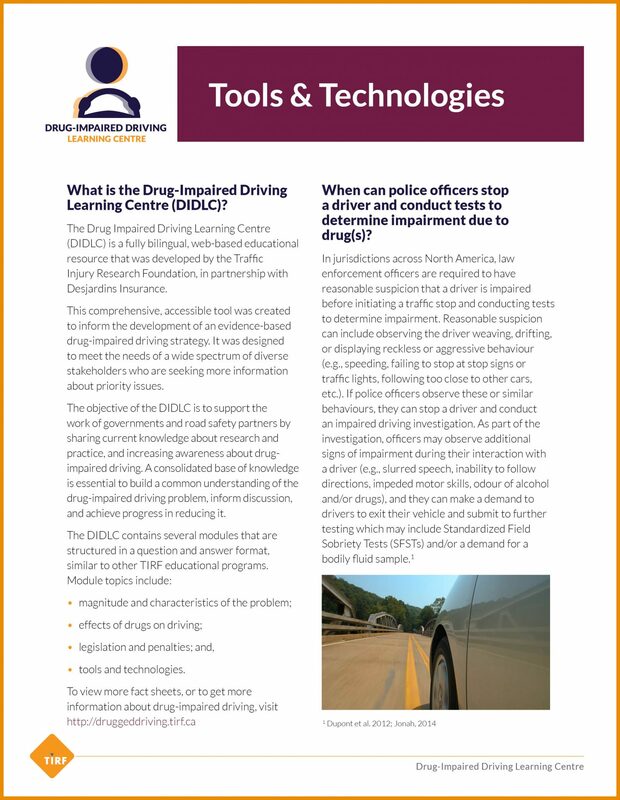 This module contains information about a variety of tools and technologies that may aid in the detection and measurement of different types of drugs in a driver’s system. While some of these tools are already available and in use by law enforcement agencies in some jurisdictions, other tools are either under development or undergoing testing to gauge their sensitivity and specificity. Standardized field sobriety tests and drug recognition evaluation testing protocols, which are already used by police officers to detect drug-impaired drivers, are briefly described along with the effectiveness of these tools in identifying impairment. In addition, several other types of drug screening tools and technologies that are being explored are described including oral fluid devices, breathalyzers, pupillometry and sweat-based devices. Each device is discussed in terms of the current state of development, effectiveness, and potential real world application. Benefits and limitations of each device are also considered. Finally, the analysis of bodily fluid samples in labs and confirmatory procedures to indicate the presence of drugs are summarized. Types of drugs that are typically included in toxicological screens are highlighted and timelines for the availability of toxicology results are discussed. When can police officers stop a driver and conduct tests to determine impairment due to drug(s)? What are sobriety checkpoints and how are they useful to detect both alcohol and drug-impaired drivers? Do police officers have tools to detect drug-impaired drivers at the roadside? How effective are SFSTs at detecting drug-impaired drivers? 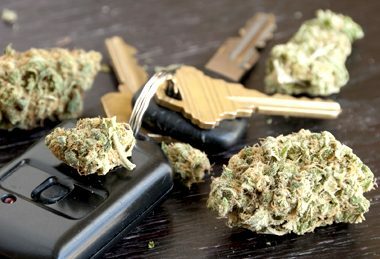 Do police officers have tools to detect drug-impaired drivers who are taken into police custody? Are DREs able to consistently detect drug-impaired drivers? What is the Advanced Roadside Impaired Driving Enforcement (ARIDE) program? What are roadside oral fluid screening devices and where is the use of these devices permitted? How effective are roadside oral-fluid screening devices at detecting the presence of drugs? What other types of drug screening tools and technologies are being explored to detect the presence of drugs in drivers? 1. When can police officers stop a driver and conduct tests to determine impairment due to drug(s)? Similarly, in fourteen2 European countries, police officers require reasonable suspicion, or assumption of impairment before stopping drivers to test them for drugs and alcohol. 2. What are sobriety checkpoints and how are they useful to detect both alcohol and drug-impaired drivers? Sobriety checkpoints offer another opportunity for law enforcement officers to interact with drivers and determine if impairment is suspected. These checkpoints are typically set up at designated places at designated times. Traffic cones or other traffic calming measures can be set up to funnel cars into a single line, and require them to stop at a certain point so that the law enforcement officers can interact with drivers, however these interactions are fairly brief. Questions about possible drug and/or alcohol use are asked, and law enforcement officers observe drivers for possible signs of impairment. Based on these interactions, drivers may be asked to pull to the side of the road and officers may ask drivers to accompany them to the cruiser for testing after the demand has been made and participate in behavioural tests or provide a breath or bodily fluid sample. An example of a roadside sobriety checkpoint is the Reduce Impaired Driving Everywhere (R.I.D.E) Checks program, used by police agencies across Canada. This program began in 1977, and was originally implemented in local communities, but grew in popularity and was eventually applied across the country. R.I.D.E checkpoints most commonly occur during the winter holiday season, but are also conducted year-round, often during long weekends, or in conjunction with events where alcohol will be consumed such as concerts and sporting events. Northern Mariana Islands, and the Virgin Islands which permit their use.6 Twelve states prohibit the use of sobriety checkpoints because the state has no authority to conduct them (i.e., Alaska), they are considered illegal under state law (i.e., Idaho), or they violate the state’s constitution (i.e., Michigan).7 For example, Texas prohibits sobriety checkpoints based on the state’s interpretation of the United States Constitution [see Brown v. Texas, 443 U.S. 47 (1979)]. However, jurisdictions that do not permit checkpoints can rely on other enforcement strategies like saturation patrols. 3. 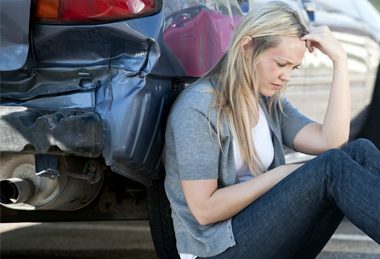 Do police officers have tools to detect drug-impaired drivers at the roadside? Yes, police officers have several tools that can be used to detect drug-impaired drivers at the road-side. After the initial observation of the vehicle in operation and the decision to stop the vehicle, officers gather clues about impairment during face-to-face interactions with drivers. They may decide to request that drivers exit the vehicle and submit to further testing. After drivers have been asked to exit the vehicle, officers can test them for the presence of cognitive and physical impairment using the Standardized Field Sobriety Test (SFST). Prior to the passage of drug-impaired driving legislation in Canada in 2008, police officers did not use the validated SFST battery since police officers were able to make the breath demand based on driving indicators and roadside interactions. Conversely, the SFSTs have been routinely used by all police officers in the United Sates to detect impaired drivers (alcohol and drug) since 198110 since the results of the SFSTs provide officers with probably cause to make the breath demand. The SFST battery has been scientifically validated to detect alcohol impairment, and there is some evidence that SFSTs are also effective at detecting marijuana, benzodiazepines and high doses of amphetamines.11 However, some tests in the battery are better at detecting some categories of drugs than others. The SFST is a three test battery that includes the horizontal gaze nystagmus (HGN), the walk-and-turn, and the one-leg stand tests. Each of these tests are briefly described below. HGN. This test requires subjects subject to follow the movement of a small stimulus (such as the tip of a pen or penlight) by tracking the stimulus using only their eyes while keeping their head still. The test is completed in the left eye, followed by the right eye and officers observe each eye for clues of impairment. These clues include the lack of a smooth eye movement when tracking the stimulus, the involuntary jerking of the eyes prior to reaching a 45 degree angle, and a distinct jerking of the eyes when held for four seconds at the most extreme left or right position. If officers detect four or more clues after testing both eyes, then it is likely that the BAC of the subject is at or above 0.10 g/dL. The HGN test is the most reliable indicator of impairment by alcohol in the SFST battery. Walk-and-Turn. This test consists of two stages: (1) instruction stage, and (2) walking stage. In the first stage, drivers must stand with their feet in heel-to-toe position with their arms at their sides, and listen to the instructions. This stage is designed to test divided attention, as the subject’s attention is divided between listening to the instructions and keeping their balance. In the walking stage, drivers must take nine heel-to-toe steps, turn in a prescribed manner, and take nine heel-to-toe steps back while counting the steps out loud. Officers must watch for eight possible clues of impairment, such as not being able to maintain balance while listening to instructions, starting the task before instructions are complete, stopping while walking, stepping off the line, taking an incorrect number of steps, not touching heel to toe, using arms for balance and improper turning. If two or more clues are present, or subjects cannot complete the task, then it is likely that the subject is impaired with a BAC at or above 0.10 g/dL. One Leg Stand. This test consists of two stages: (1) instruction stage, and (2) balance and counting stage. In the first stage, drivers must stand with their feet together and keep their arms at their side while listening to the instructions. This stage is designed to test divided attention, as subjects must maintain the prescribed posture and listen to the instructions for the test. In the second stage, drivers must raise one foot approximately six inches off the ground, keeping it parallel to the ground, and keeping both legs straight. While looking at the elevated foot, drivers must count out loud in the following manner “one thousand one”, “one thousand two” and so on until told to stop. Officers must watch for four possible clues of impairment, such as using their arms to keep balance, swaying while balancing, hopping to keep balance, and putting their foot down one or more times during the test. Based on the combined results of these tests, if impairment is indicated, officers will then administer an approved screening device (ASD) to take a breath sample and determine the presence of alcohol. If the ASD does not indicate the presence of alcohol, but officers observe evidence of impairment from the results of the SFST, a specially-trained Drug Recognition Expert (DRE) officer may be summoned to further evaluate the driver for the presence of drugs. The DRE evaluation is not typically completed at the roadside, and occurs post-arrest at the local police station. 4. How effective are SFSTs at detecting drug-impaired drivers? 5. Do police officers have tools to detect drug-impaired drivers who are taken into police custody? Following the roadside investigation (which may include the SFSTs), drivers that are suspected of being under the influence of drugs other than alcohol can be taken into custody and transported to the local police detachment for further evaluation by Drug Recognition Expert (DRE) officer. DRE officers are highly skilled at detecting impairment due to drugs, and identifying the category or categories of drugs that are the source of the exhibited impairment. Frequently, it is determined that drivers are under the influence of more than one drug (i.e. polydrug use), and although the combination of alcohol and another drug (illegal, prescription or over-the-counter drug) is common, drivers may have multiple drugs (other than alcohol) in their system, sometimes at very low doses.15 Research shows that several drugs in the body, even at low concentrations, may cause substantial impairment. Therefore, DRE officers are trained to recognize the seven categories of drugs and are better able to detect lower doses of multiple drugs at concentrations that a roadside oral fluid screening device may not be able to detect. DRE officers must successfully complete the Drug Evaluation and Classification (DEC) Program which is one of the most intensive and technical training programs offered to police officers. Certification in SFSTs and more than 152 hours of coursework are required along with two examinations and a final written endorsement from two DRE instructors. Once completed, officers are certified as a DRE, but must conduct a minimum number of drug evaluations per year and obtain re-certification every two years. The DRE evaluation of a suspected impaired driver consists of a standardized 12-step process designed to assess physical, cognitive and medical indicators.16 The evaluation includes: a breath alcohol test, an interview by the arresting officer, preliminary examination of the suspect, eye examinations, divided attention tests, vital signs examination, dark room examinations, examination of muscle tone, search for potential injection marks, suspect interview, an opinion by the DRE and the procurement of toxicological samples for analysis. Based on the results of a complete evaluation, DRE officers can accurately determine whether a driver is impaired, and if so, whether this impairment is related to drugs or a medical condition. If there is impairment by drugs, the DRE will determine what category or categories of drugs that are the likely source of the impairment. 6. Are DREs able to consistently detect drug-impaired drivers? Although there has been limited research to investigate the effectiveness of the DRE program in gauging impairment due to new psychoactive substances (NPSs), there is some evidence that suggests it may be effective. In particular, DREs were able to identify impairment and correctly categorize synthetic cannabinoid drugs under the category of cannabis with 100% accuracy.19 In a case study, a DRE evaluation correctly identified 25C-NBOMe, which is a NPS that produces effects similar to hallucinogens.20 Of course more research is needed before definitive conclusions may be drawn. 7. What is the Advanced Roadside Impaired Driving Enforcement (ARIDE) program? The Advanced Roadside Impaired Driving Enforcement (ARIDE) program was developed in the U.S. to bridge the gap in training between the SFST and the DEC program. More recently, this program has been considered for use in Canada. The goal of the ARIDE course is to train law enforcement officers to observe, identify, and articulate signs of impairment related to drugs, alcohol or a combination of both. 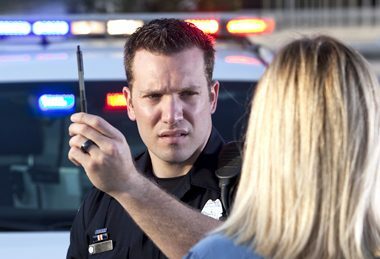 The objective of this program is to increase the ability of officers to detect suspected drug-impaired drivers in order to further reduce the number of impaired driving incidents, serious injury, and fatal crashes.21 This program is available to all U.S. police officers that are proficient in the use of SFSTs, as well as other criminal justice professionals in the area of drug impairment and traffic safety. 8. What are roadside oral fluid screening devices and where is the use of these devices permitted? It is important to note that using oral fluid to indicate the presence of drugs should not be regarded as a replacement for other toxicological confirmatory tests using urine or blood. Testing oral fluid has some advantages over other types of tests, which make these devices more efficient for use at roadside. In particular, these devices do not pose the same privacy concerns as a urine test, and they do not require officers to be trained as phlebotomists in order to draw blood. While some research indicates that oral fluid and blood concentrations of a drug do show a reasonable correlation24 there are some important differences. Most jurisdictions that have implemented oral fluid screening at the roadside use the results as a preliminary indication of drug use that requires further confirmatory lab testing. However, there are a few countries that use oral fluid for both drug screening and confirmation testing. In total, more than two dozen countries have implemented oral fluid screening at the roadside,25 and there are a few other countries that are in the process of testing and approving certain screening devices for use, but have not yet introduced legislation to implement roadside oral fluid testing. Countries on this list use one or more of the following devices: the DrugWipe® by Securetec, the Dräger Drug Test 5000®, the Alere DDS2®, and the RapidSTAT® from Mavand Solutions. One of the most common devices used is the Securetec DrugWipe® 26, which is a self-contained test cassette with visual indicators and an optional reader to store the results. To use this device, the sample collector is detached from the test cassette and is run over the tongue for five seconds to collect saliva. After this, the sample collector is re-attached to the test cassette where it is introduced to a proprietary dilutent mix. The results are presented with the use of red vertical test lines located in the read-out window of the device. Depending on the model, the DrugWipe can detect the presence of up to seven drug types (cannabis, opiates, cocaine, amphetamine, methamphetamines, benzodiazepines, ketamine) in five to eight minutes. Another commonly used device is the Dräger Drug Test 5000® test system27, which includes the Dräger DrugTest 5000 Analyser and test kits comprised of a test cassette with an oral fluid collector. The collector is used to swab the mouth for one to four minutes, and then is inserted into the test cassette before introduction into the analyser. The analysis takes about eight minutes and the result for each drug category is displayed on the screen. The Dräger Drug Test 5000 can detect amphetamines, methamphetamines, opiates, cocaine, benzodiazepines, cannabis, methodone and ketamine. Other brands include the Alere DDS2® from Alere Toxicology28, and the RapidSTAT® from Mavand Solutions. The Alere DDS2 is a mobile, handheld analyser with a three-step testing process. First, a test cartridge is inserted into the analyser device and a sample of oral fluid is collected using a testing swab. Once the testing swab indicates that a sufficient amount of oral fluid has been collected, the swab is inserted into the test cartridge that is already inserted in the analyser. After five minutes, the results are displayed on the digital screen of the analyser. The Alere DDS2 can test for amphetamines, benzodiazepines, cannabis, cocaine metabolites, methadone, methamphetamines and opiates. 9. How effective are roadside oral-fluid screening devices at detecting the presence of drugs? The first large-scale evaluation of roadside drug testing devices was the ROSITA (roadside testing assessment) study which was conducted from 1999-2001 and involved eight European counties.30 The effectiveness of each device was scored against a criterion of sensitivity >90%, specificity >90%, and accuracy >95%. If this criterion was exceeded, then the performance of the device was deemed acceptable. The most recent evaluation of 13 oral fluid screening devices was conducted from 2006-2008 in six European countries as part of the DRUID study (Driving Under the Influence of Drugs, Alcohol and medicines).33 In this study, oral fluid devices were assessed using more liberal criteria than the previous ROSITA studies (>80% sensitivity and specificity). As in the previous studies, the sensitivity and specificity of the devices varied greatly, and only three devices achieved sensitivity that surpassed the criteria. 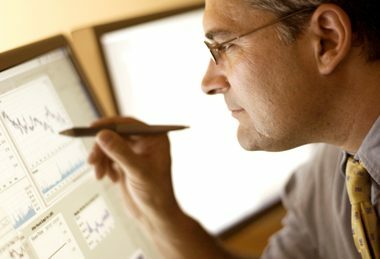 No device achieved acceptable levels of sensitivity, specificity, and accuracy. Therefore no specific device was recommended for use by law enforcement at the roadside. However, it was noted that there were general improvements in the oral fluid screening technology since the ROSITA 2 study in 2006. An evaluation of oral fluid devices has been conducted in Canada to examine the suitability of certain devices for potential use by Canadian law enforcement to detect drug-impaired drivers at the roadside.36 Three devices were tested that had research to support an acceptable standard of performance (1) Alere DDS 2®, (2) Dräger DrugTest 5000®, and (3) Securetec DrugWipe 6S®. Oral fluid specimens were collected using one of three devices from a sample of suspected drug users. A secondary specimen was taken with the Quantisal® oral fluid collection device and sent to a laboratory to obtain an independent reading. This secondary sample acted as a confirmatory test, as the laboratory was instructed to only test for the drug/drug category that was initially detected with one of the three devices. Since the purpose of this study was to examine the ability of these devices to detect the presence of drugs/drug category, and not the individual effectiveness of each device, the results from all three oral fluid devices were combined. The average sensitivity of all the devices for all drug/drug categories was 87%. This means that 87% of those who had used one or more of the substances included in the screening had a positive reading for drugs as detected by an oral fluid device. The specificity of the devices was 93%, which means that 93% of the time subjects who had not used any substances were correctly identified as being drug negative. Two other important metrics included in the study were the positive predictive value (PPV) and the false alarm rate. The PPV was 96.5%, which means that 96.5% of the drugs identified by the oral fluid screening devices were confirmed in the secondary laboratory analysis. The false alarm rate was 7%, which represents the percentage of oral fluid specimens that were deemed as drug positive, but were not confirmed by the secondary laboratory analysis. Collectively, the devices had a high sensitivity (>80%) and specificity (>90%) for THC, cocaine, methamphetamines and opioids. The devices did not perform as well for the detection of benzodiazepines and amphetamines, with an overall sensitivity value of 59% and 77% respectively. Therefore, these three devices were deemed reliable to detect certain drug/drug categories at the roadside. As a result, these findings can contribute to the development of performance standards for oral fluid screening devices in Canada, and provide guidelines as to which drug/drug categories would likely be included when testing at the roadside. At the conclusion of the aforementioned study, Public Safety Canada, the Royal Canadian Mounted Police (RCMP) and the Canadian Council of Motor Transport Administrators (CCMTA) conducted a pilot project to test oral fluid screening devices during random stops and road checkpoints to determine the functioning of this technology in the cold Canadian climate, within the practices of Canadian law enforcement, to inform officer training guidelines and to standardize the device operating procedures.37 The two devices used were the Securetec DrugWipe 5S and the Alere DDS-2, which were selected based on supporting literature and device portability. Data was collected from officers using the devices through weekly conference calls, roadside questionnaires, and individual interviews to identify device issues, obstacles, comfort levels, ease of use and device functioning in various weather conditions. Overall officers reported that the devices were very easy to use at the roadside. They found that their comfort and confidence increased as they used the device more frequently, and when devices issues did arise, officers were easily able to troubleshoot. The weather conditions did not increase the number of reported device malfunctions, however, a larger proportion of drug-positive readings were found when the device was operating outside of the suggested temperature range and it was concluded that more research is needed to determine the cause of this important observation. Officers also reported that the standardized operating procedures of the device should emphasize safety. Common safety concerns included the time required to complete the screening and the physical proximity to drivers being tested. Overall, it was concluded that oral fluid devices serve as a useful tool for Canadian law enforcement and proper training and standardized operating procedures are need to ensure officers can definitively detect drugged drivers. 10. What other types of drug screening tools and technologies are being explored to detect the presence of drugs in drivers? The ability to test for marijuana in breath samples has been pioneered by a few companies in Canada and the United States, with the development of promising new technology including the Cannabix breathalyzer38 and the Hound marijuana breathalyzer39. These devices are currently undergoing development and beta-testing but are not available for use at this time. Specifically, the Cannabix breathalyzer is designed to detect the main psychoactive component of marijuana (THC), and serves to indicate recent use (within a two-hour window). The Cannabix Marijuana Breathalyzer Beta prototype device has recently been piloted with human subjects after smoking THC cigarettes. The pilot study demonstrated the successful detection of THC in breath samples, along with other metabolites including 11-hydroxy-delta-9-tetrahydrocannabinol and delta-9-carboxy-tetrahydrocannabinol. Further testing will continue with the Beta and Beta 2.0 prototypes, bringing it closer to realizing its’ potential of detecting drivers under the influence of marijuana. A breathalyser for marijuana may provide a sense of familiarity for drivers as well as law enforcement, since both are already accustomed to breath testing for alcohol and awareness of alcohol breathalysers is widespread. However, a breathalyzer for cannabis does have certain limitations. Since marijuana does not act similar to alcohol in the body, marijuana detected in breath is not reflective of the amount of the substance that is present in the blood or brain of the individual. Alere DDS®2 Mobile Test System (2017) Retrieved from: http://www.alere.com/en/home/product-details/dds2-mobile-test-system-au.html. Beirness, D. J., & Smith, D. A. R. (2017). An assessment of oral fluid drug screening devices. Canadian Society of Forensic Science Journal, 50(2), 55-63. Beirness, D. J., Beasley, E., & Lecavalier, J. (2009). The accuracy of evaluations by Drug Recognition Experts in Canada. Canadian Society of Forensic Science Journal, 42(1), 75-79. Biecheler, M. B., Peytavin, J. F., SAM Group, Facy, F., & Martineau, H. (2008). SAM survey on “drugs and fatal accidents”: search of substances consumed and comparison between drivers involved under the influence of alcohol or cannabis. Traffic injury prevention, 9(1), 11-21. Blencowe T, Pehrsson A, Lillsunde P, Vimpari K, Houwing S, Smink B, Mathijssen R, Van der Linden T, Legrand S-A, Pil K, Verstraete A. (2011). An analytical evaluation of eight on-site oral fluid drug screening devices using laboratory confirmation results from oral fluid. Forensic Science International, 208(1-3), 173–179. Blencowe, T., Pehrsson, A., & Lillsunde, P. (2010). Analytical evaluation of oral fluid screening devices and preceding selection procedures. DRUID report. Bosker, W. M., Kuypers, K. P., Theunissen, E. L., Surinx, A., Blankespoor, R. J., Skopp, G., … & Ramaekers, J. G. (2012). Medicinal Δ9‐tetrahydrocannabinol (dronabinol) impairs on‐the‐road driving performance of occasional and heavy cannabis users but is not detected in Standard Field Sobriety Tests. Addiction, 107(10), 1837-1844. Bramness, J. G., Skurtveit, S., & Mørland, J. (2003). Testing for benzodiazepine inebriation—Relationship between benzodiazepine concentration and simple clinical tests for impairment in a sample of drugged drivers. European Journal of Clinical Pharmacology, 59(8–9), 593–601. De Giovanni, N., & Fucci, N. (2013). The current status of sweat testing for drugs of abuse: a review. Current medicinal chemistry, 20(4), 545-561. Desrosiers, N. A., Lee, D., Schwope, D. M., Milman, G., Barnes, A. J., Gorelick, D. A., & Huestis, M. A. (2012). On-site test for cannabinoids in oral fluid. Clinical chemistry, 58(10), 1418-1425. Desrosiers, N. A., Ramaekers, J. G., Chauchard, E., Gorelick, D. A., & Huestis, M. A. (2015). Smoked cannabis’ psychomotor and neurocognitive effects in occasional and frequent smokers. Journal of analytical toxicology, 39(4), 251-261. Downey, L. A., King, R., Papafotiou, K., Swann, P., Ogden, E., & Stough, C. (2012). Examining the effect of dl-3, 4-methylenedioxymethamphetamine (MDMA) and methamphetamine on the standardized field sobriety tests. Forensic science international, 220(1), e33-e36. Drug Screening From Fingerprints. Retrieved from: https://www.intelligentfingerprinting.com/product/?lang=en-US. DRUGWIPE® K sweat drug test (2017). Retrieved from: http://acs-corp.com/products/drug-testers/drugwipe-k-sweat-drug-test/. DuPont, R. L., Voas, R. B., Walsh, J. M., Shea, C., Talpins, S. K., & Neil, M. M. (2012). The need for drugged driving per se laws: a commentary. Traffic injury prevention, 13(1), 31-42. European Monitoring Centre for Drugs and Drug Addiction Annual report 2011: the state of the drugs problem in Europe Luxembourg: Publications Office of the European Union 2011-105 pp. EyeCheck® (2009). Retrieved from: http://www.eye-check.com.au/pupillometer.htm. Huestis, M. A., & Cone, E. J. (2004). Relationship of Δ9-tetrahydrocannabinol concentrations in oral fluid and plasma after controlled administration of smoked cannabis. Journal of analytical toxicology, 28(6), 394-399. Jonah B. 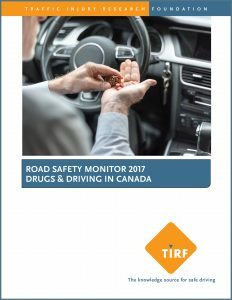 (2014) Administrative laws for drugs and driving inside and outside Canada. Canadian Council of Motor Transportation Administrators. Keeping, Z. & Huggins, R. (2017). Final Report on the Oral Fluid Drug Screening Device Pilot Project. Public Safety Canada. Kelly, T. H., Foltin, R. W., Serpick, E., & Fischman, M. W. (1997). Behavioral effects of alprazolam in humans. Behavioral Pharmacology, 8(1), 47–58. Leggett, A., McCloskey, S., Malfer, R., & Kerrigan, S. (2007). 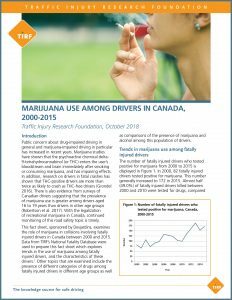 Driver behavior and impairment symptoms in cannabinoid positive subjects arrested for driving under the influence of drugs (DUID). Poster Session Presented at the Annual American Academy of Forensic Sciences Meeting, San Antonio, TX. Logan, B. K., Mohr, A. L., & Talpins, S. K. (2014). Detection and prevalence of drug use in arrested drivers using the Dräger Drug Test 5000 and Affiniton DrugWipe oral fluid drug screening devices. Journal of analytical toxicology, 38(7), 444-450. Maes, V., Charlier, C., Grenez, O., & Verstraete, A. (1999). Drugs and medicines that are suspected to have a detrimental impact on road user performance. Project Deliverable D1, ROSITA. McCloskey, S., Leggett, A, Malfer; R., & Kerrigan, S. (2007). Driving under the influence of methamphetamine: Comparison of driving behavior and impairment symptoms in subjects arrested for driving while intoxicated. Poster Session Presented at the Annual American Academy of Forensic Sciences Meeting, San Antonio, TX. National Highway Traffic Safety Administration (2007). Advanced Roadside Impaired Driving Enforcement Manual. Retrieved from: https://versus-varghesesummerse1.netdna-ssl.com/wp-content/uploads/2017/01/2007-NHTSA-ARIDE-Manual.pdf. National Highway Traffic Safety Administration. (2002) Saturation Patrols and Sobriety Checkpoints Guide, A How-to Guide for Planning and Publicizing Impaired Driving Enforcement Efforts. National Highway Traffic Safety Administration. (2010) Explore the Predictive Validity of DEC Program Tests. National Highway Traffic Safety Administration (2011). Evaluation of the Effects of SFST Training on Impaired Driving Enforcement. DOT HS 811 455. Papafotiou, K., Carter, J. D., & Stough, C. (2005). An evaluation of the sensitivity of the Standardised Field Sobriety Tests (SFSTs) to detect impairment due to marijuana intoxication. Psychopharmacology, 180(1), 107-114. Porath-Waller, A. J., & Beirness, D. J. (2014). An examination of the validity of the standardized field sobriety test in detecting drug impairment using data from the Drug Evaluation and Classification program. Traffic injury prevention, 15(2), 125-131. Product Testing: Hound Labs (2017) Retrieved from: https://houndlabs.com/product-testing/. Rajotte, J. W., Palmentier, J. P. F., & Wallage, H. R. (2017). Drug Recognition Evaluation and Chemical Confirmation of a 25C‐NBOMe‐Impaired Driver. Journal of forensic sciences. Rapid STAT® saliva multi drug test (2001). Retrieved from: http://www.mavand.de/en/products/drug-tests/rapid-statr.html. Richman, J., & Noriega, R. S. (2002). THE SENSITIVITY AND SPECIFICITY OF INFRARED PUPILLOMETRY MEASUREMENTS IN IDENTIFYING DRUG IMPAIRMENT IN A COUNTY PROBATION PROGRAM. : Poster# 56. Optometry & Vision Science, 79(12), 232. Saliva drug test DrugWipe® S. Retrieved from: https://www.securetec.net/en/saliva-drug-test-drugwipe. Samyn, N., Verstraete, A., Van Haeren, C., & Kintz, P. (1999). Analysis of Drugs in Saliva. Forensic Science Review, 11(1), 1-19. Scherer, J. N., Fiorentin, T. R., Borille, B. T., Pasa, G., Sousa, T. R. V., Von Diemen, L., … & Pechansky, F. (2017). Reliability of point-of-collection testing devices for drugs of abuse in oral fluid: a systematic review and meta-analysis. Journal of Pharmaceutical and Biomedical Analysis. Scherer, J. N., Fiorentin, T. R., Sousa, T. R. V., Limberger, R. P., & Pechansky, F. (2017). Oral fluid testing for cocaine: analytical evaluation of two point-of-collection drug screening devices. Journal of analytical toxicology, 41(5), 392-398. Shults, R. A., Elder, R. W., Sleet, D. A., Nichols, J. L., Alao, M. O., Carande-Kulis, V. G., … & Task Force on Community Preventive Services. (2001). Reviews of evidence regarding interventions to reduce alcohol-impaired driving. American journal of preventive medicine, 21(4), 66-88. Silber, B. Y., Papafotiou, K., Croft, R. J., & Stough, C. K. (2005). An evaluation of the sensitivity of the standardised field sobriety tests to detect the presence of amphetamine. Psychopharmacology, 182(1), 153-159. Smith, J. A., Hayes, C. E., Yolton, R. L., Rutledge, D. A., & Citek, K. (2002). Drug recognition expert evaluations made using limited data. Forensic Science International, 130(2), 167-173. Stough, C., Boorman, M., Ogden, E., & Papafotiou, K. (2006). An evaluation of the Standardised Field Sobriety Tests for the detection of impairment associated with cannabis with and without alcohol. Canberra, Australia: National Drug Law Enforcement Research Fund. Strano-Rossi, S., Castrignanò, E., Anzillotti, L., Serpelloni, G., Mollica, R., Tagliaro, F., … & Chiarotti, M. (2012). Evaluation of four oral fluid devices (DDS®, Drugtest 5000®, Drugwipe 5+® and RapidSTAT®) for on-site monitoring drugged driving in comparison with UHPLC–MS/MS analysis. Forensic science international, 221(1), 70-76. Technology: About Cannabix (2016). Retrieved from: http://www.cannabixtechnologies.com/thc-breathalyzer.html. Toennes, S. W., Kauert, G. F., Steinmeyer, S., & Moeller, M. R. (2005a). Driving under the influence of drugs—evaluation of analytical data of drugs in oral fluid, serum and urine, and correlation with impairment symptoms. Forensic Science International, 152(2), 149-155. Toennes, S. W., Steinmeyer, S., Maurer, H. J., Moeller, M. R., & Kauert, G. F. (2005b). Screening for drugs of abuse in oral fluid—correlation of analysis results with serum in forensic cases. Journal of analytical toxicology, 29(1), 22-27. Verstraete, A., & Puddu, M. (2000). Evaluation of different roadside drug tests. Project Deliverable D, 4. Verstraete, A., & Raes, E. (2006). Rosita-2 project. Final Report. Ghent: Ghent University Depart. Walden, T. D. (2005). The Drug Evaluation and Classification Program in the state of Texas: a validation study (Doctoral dissertation, Texas A&M University). Wille, S. M., Samyn, N., del Mar Ramírez-Fernández, M., & De Boeck, G. (2010). Evaluation of on-site oral fluid screening using Drugwipe-5+®, RapidSTAT® and Drug Test 5000® for the detection of drugs of abuse in drivers. Forensic science international, 198(1), 2-6. Yeakel, J. K., & Logan, B. K. (2013). Blood synthetic cannabinoid concentrations in cases of suspected impaired driving. Journal of analytical toxicology, 37(8), 547-551.